Recently we came across this picture of a hedgehog. It was part of a news story that scientists are tracking hedgehogs with special techy backpacks. These let the scientists know where they go and what they do – which is very important as there are growing fears that these hedgehogs in New Zealand are threatening certain insects, lizards and even some birds. However, all we can think is how cute this photo is! LOL: Mum grabs wrong end of dog! These dogs cheer on their pals! So we decided to put together a gallery of the cutest animal pictures we’ve found on the internet. Which one is your favourite? And if you want to send in your suggestions, click here! 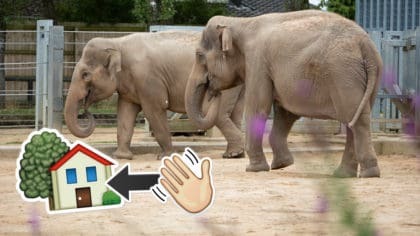 These elephants are moving house! 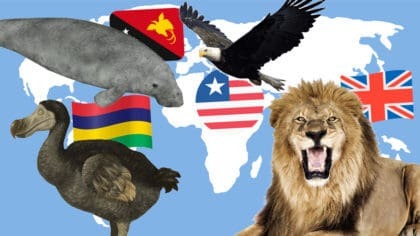 National animals around the world! 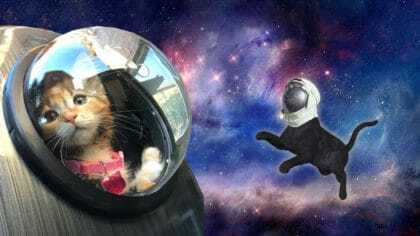 Are these kittens going to space? 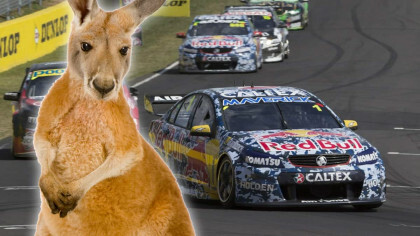 Kangaroo interrupts race in Australia!